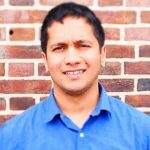 JAISAL NOOR: So, I’m here with Maryland gubernatorial candidate Alec Ross. Thanks so much for joining us at The Real News. ALEC ROSS: It’s good to be here. Thank you. JAISAL NOOR: So, the most recent poll done of candidates, Democratic candidates in Maryland, you polled last. But there’s still a large number of voters that are undecided. What makes you the best candidate to take on Larry Hogan in November? ALEC ROSS: I’ll beat him. You know, look, I mean, over 50 percent of likely voters still haven’t decided who they’re going to vote for. I think if you put one of the sort of tired old politicians from the sort of merry-go-round of, of Maryland politicians, they’re gonna lose. People are sick of the same old, same old. I bring a fresh perspective, a new face, new ideas. And that’s what I think it’s going to take to beat Larry Hogan. JAISAL NOOR: So, Larry Hogan campaigned and successfully repealed the so-called rain tax. And he’s doubled down on that move since the flooding, historic flooding that devastated Ellicott City last month. What would your approach be to both development in places like Ellicott City, but as well as addressing issues like climate change that we know impact the severity of storms, like the one that poured, you know, a ton of rain on Ocean City-, I mean, on Ellicott City? Actually, on Ocean City just this weekend, as well. ALEC ROSS: Yeah. So, first give Larry Hogan credit. He’s, he’s a great politician. Bad at governing, but great at politicking. Even calling it a rain tax. It’s not a rain tax, it’s a storm water remediation fee, the purpose of which was to actually contain the effects of exactly what just happened in Ellicott City. Look, on this issue of climate change I think that sometimes change has to come incrementally, but other times I think incrementalism is, like, literally killing us. And on issues of climate and environment I think we need a leader who is not going to sort of nibble at the edges of the challenges, but be really bold, which is part of why I want to bring real clean energy infrastructure into the state of Maryland through the creation of the kind of green bank that’s worked really well in other states. I want to bring a $1 billion green bank into Maryland so that we can actually produce clean energy and have a more sustainable future. JAISAL NOOR: So this year, Larry Hogan worked with Democrats to pass some tough on crime legislation. You know, there is a record, a record homicide rate here in Baltimore. What’s your take on improving public safety in places like Baltimore and across Maryland? ALEC ROSS: I think that we are not going to be able to arrest our way into a safer future. I think that’s sort of a backwards approach. And again, part of what drives me crazy about career politicians is they’re afraid to do the really difficult stuff that works over the long term. If you want to keep people out of the criminal justice system, invest deeply in our schools. You know, if you don’t want 16, 17, 18-year-olds in the criminal justice system, invest in universal pre-K. Bring counselors, psychologists, and social workers into our schools. And so where I felt, where I have a real hard time with the crime bill that went through Annapolis is if you really want to solve the problem, then let’s invest in these young people and in the communities so that they have a future that doesn’t necessarily have to be rooted in crime. JAISAL NOOR: You talked about education. Would you also support public, the public sector creating jobs, something like happened in the New Deal, to put people to work in East Baltimore, West Baltimore, where the private sector hasn’t stepped up for decades even though they’ve gotten billions in tax breaks? ALEC ROSS: It’s exactly right. I mean, look, the green bank that I want to create, I think we can take our goals on climate and environment, and our goals on inclusion and job growth, and bring them together. I think that, you know, the creation of a green bank will create basically the market conditions with government money to enable substantial investment so that people can be building solar panels in Maryland at a good union, in a good union wage job. So part of how I want to address the issues of both climate and environment and inclusive job growth is through this green bank. JAISAL NOOR: So you are a former Baltimore City public school teacher. You’re an alumni of Teach for America. Larry Hogan says Maryland schools don’t face a crisis in funding, they face a crisis in accountability. He supported deregulating charter schools, he supported possibly deunionizing them in Maryland. The charter school lobby says Baltimore, and Maryland as a whole, has the worst regulations on charter schools, but public school advocates say they’re the strongest regulations because-. And so Maryland’s avoided the scandals we’ve seen in other states, with financial mismanagement and other scandals. What’s your response to Larry Hogan’s public education policies? ALEC ROSS: So, what Larry Hogan really wants to do is privatize public education. I mean, he is a devotee of Betsy DeVos. And that’s what he’s, if he’s, if he wins re-election, trust me, we’re going straight to the Betsy DeVos model. He’s already been pushing us there. Once he’s reelected there will be no checks against him. My view is that the current charter law works. We do not have for profit charters. I think that there is accountability so that charters have to meet standards that traditional, traditional zone and magnet public schools have to meet, like the ones that my kids go to. You know, my younger two kids go to Baltimore City public schools and they go to the neighborhood zone schools. I think that the charters should have to have the same kind of governance and accountability. So I’m not in favor of privatization. I’m not in favor of the DeVos model of public education. And thank you for saying, yeah, I come at this as a former public school teacher, married to a public school teacher, with three kids in the public schools. So I’m all in on this issue. JAISAL NOOR: Well, thank you so much for joining us. ALEC ROSS: Thank you for having me. 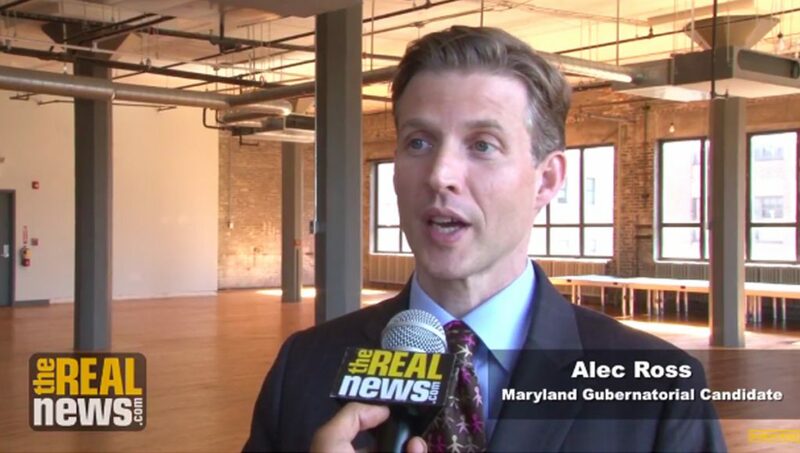 Vote Alec Ross.